In my experience, there are 8 exercises that you can do while sitting in your chair that help relieve your back pain. Some of these exercises do not target your back directly, but indirectly offer support. Are you sitting down right now? If so, please continue reading. Being a fitness trainer is a lot of fun. I have the ability to work with people that are looking to improve their health and are eager to get in better shape. I could go on and on about how much I love my job but that's not why I'm writing this article. 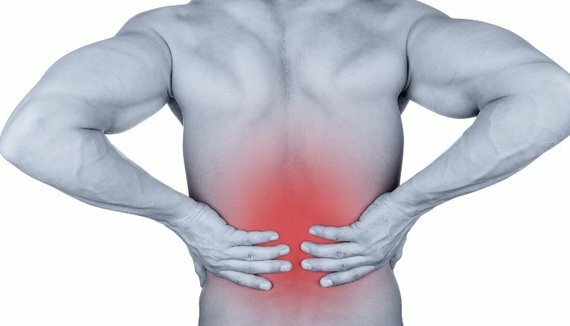 I'm writing this article today to share with you one area of pain that has been common amongst the hundred+ folks that I've helped: back pain. Now that we've covered some reasons why you experience back pain, let's talk about how you can relieve your pain once and for all. The only true way (in my opinion) to get rid of your back pain is to move more. It really can be that simple. I could tell you start doing yoga, go get a massage or a number of other quick-fix remedies but the problem with those is that they are indeed quick-fix solutions and don't offer long-term benefits (which is what you want). Besides trying to walk more and sit less, many people that I work with have started experimenting with exercising in their chair! Before you start cursing, let me say that these exercises are meant to be low-impact and are meant to increase blood flow to all parts of your body. If you are interested in these exercises, I invite you to download my free guide -- 8 exercises entrepreneurs can do in their chair. I'd love for you to try these exercises and share your feedback in the comments below!